Shell is a program to log into another computer over a network to execute commands in a remote machine and to move files from one machine to another. It provides strong authentication and secure communications over insecure channels. 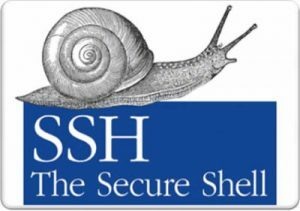 SSH was designed as a replacement for Telnet and other insecure remote shells (rlogin, rsh, rcp, and rdist), which send information, notably passwords, in plaintext, rendering them susceptible to packet analysis. The encryption used by SSH is intended to provide confidentiality and integrity of data over an unsecured network, such as the Internet.